Click + To Expand The Selection. Only OVA Members may log in. Join us for a late afternoon aerobics class twice weekly. The format uses moderate aerobic moves designed to get your heart rate up and work your body! We finish the class with core and balance work. The music is fun and catchy and the class is designed for all levels. The class is on going and you can join at any time. Bring a mat and weights if you have them but don’t let that stop you! We have some equipment to share. Using exercise equipment- balls, weights, bands, etc. – we will work on strength, endurance, balance and daily living activities. Working out to catchy tunes and finding ways to challenge yourself. Join us anytime. Bring a ball and weights if you have them, come anyway if you don’t. Also, bring a mat and water! Get started on a solid fitness routine in the New Year. If you don’t mind getting out of the house for a few hours on the First and Third Monday of every month ? If you don’t mind meeting new friends and having a great time in the process? Then American Mah Jongg is for you. We meet twice monthly and our dues go towards Club parties and expenses as needed. We currently have openings for experienced players. Welcome to the Oakmont Art Association! Over 240 members strive to bring all of Oakmont many hours of stimulating entertainment with activities and events of the wondrous world of visual arts. Our goal is to promote art and art appreciation. The Balance and Stretch class offers a wide variety of stretching and strengthening exercises that can be applied to daily work and play. This promotes safety, increases mobility/balance and a healthier body. An open invitation is extended to any woman who is interested in studying the Bible and having fellowship with others in an entirely non-denominational setting. The classes are small, informal, and this is a delightful time of sharing with others. Please join with us anytime. 12-15 men meet to enjoy learning from the Bible and one another. We are non-denominational, with men coming from various interests and backgrounds. There are no dues or attendance requirements, nor is prior knowledge of the Bible needed so dropping in for a meeting as you are able is always welcome. Because of regular time spent together, we have formed strong social relationships, not just as buddies, but friends and mentors. Often after a meeting men have lunch together and some even find time for a round of golf. We extend an open invitation to women who would like to attend our weekly, non-denominational Bible studies. The classes are informal and an enjoyable time of sharing with others. It is a terrific time to meet new people and learn new things from the Bible. Please join us at anytime! Billiard Room hours are the same as the swimming pool hours everyday. Oakmont Bocce Club meets six days a week for a friendly game. We have a current membership of approximately 120. The newly refurbished courts are located at the West Rec. Center. We hold three social events each year plus several smaller events that are announced. No equipment is required and we have no uniforms. Name tags are suggested and can be ordered from us. Play is approximately two hours. We are a group of people who love to read and discuss books – classic, modern, fiction, non-fiction, biography, history and more. The books we read are chosen by vote each season; members volunteer to lead the discussions. Like many who join book clubs, we have found that books can provide a great stimulus for discussion, and we have discovered gems suggested by other members that we would never have found on our own. To make sure everyone has a chance to contribute, membership is limited to 16. 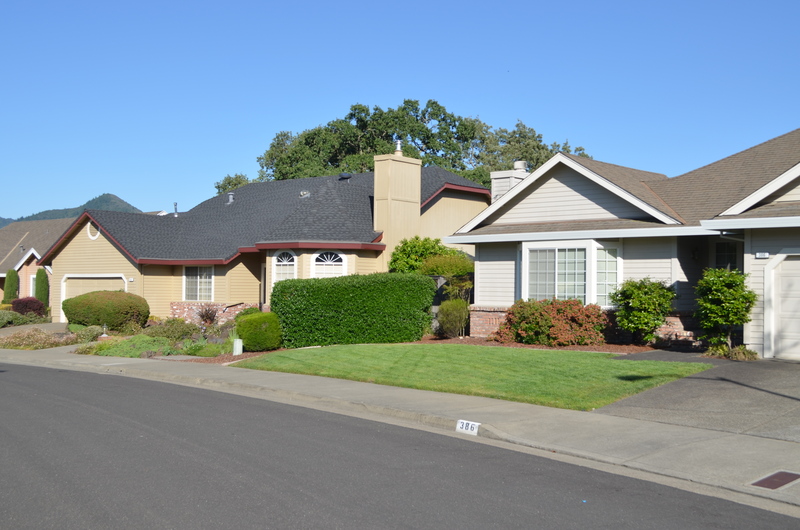 We welcome men and women living in Oakmont. Created in early 2011 to provide an opportunity for young-at-heart Oakmonters to socialize, the Oakmont Boomers Club has become one of Oakmont’s largest and most dynamic clubs. The club hosts members and their guests at highly anticipated events throughout the year, examples of which have included Mardi Gras, Fourth of July, Murder Mystery Theater, Cruise Night, the Unauthorized Rolling Stones, the Poyntlyss Sistars Rockin’ Show Band and the Magical Mystery Tour with the Beatles Flashback band. In months where there is no big event, the group hosts informal get-togethers where members bring light food and beverages of their choice. Yearly member appreciation parties – including food, drink and a healthy dose of good cheer – are a highlight of the Oakmont holiday season and free to our members. Our interactive website offers easy event registration and payment options. The Boomers Club is open to Oakmont residents of all ages. Kate Hill, American Contract Bridge League Certified Director and Teacher, has taught bridge in the Santa Rosa area for over 10 years. She enjoys playing bridge just for fun as well as competing at local and national bridge tournaments. She was chosen by long-established teacher Gerry Fox to continue the bridge programs he established at Oakmont over the past 25 years. Focus on Beginning Bridge; Rusty Bridge (bringing people who learned bridge long ago into the new millenium! ); and Intermediate Bridge. Learning the basics of the game, how standard American bridge has evolved into the present, and the joy and stimulation of friendly competition and partnership in a friendly, humorous, and supportive environment. The Duplicate Bridge Club is a friendly, low-key group who enjoy a more challenging way of playing bridge. There is a small fee, currently $4.00, which pays for a professional club “director” who organizes and officiates the game, and pays for our club membership with the American Contract Bridge League. We enjoy coaching newcomers to our ranks. First time players may play for free, but you need to remind the recorder if you are a “first timer”. What is Duplicate? In social bridge, a new hand is dealt every time, and a player’s score often reflects quite a bit of luck. In duplicate bridge the hands are dealt only once, and then played by nearly everyone. Your overall score is based on how well you do with each hand compared to everyone else who played those hands. Another significant difference is that bidding is silent and uses colored bid cards from a bid box. We often have a free bridge lesson before our evening game. If you enjoy bridge and want a fun, friendly and competitive way to improve your skills, bring your partner and try us out. We are a social bridge group that meets each month. We play 4 rounds of bridge changing partners at each round. You need to come with a partner. Cost to play is $1.00 and we pay prize money per table as well as a grand prize for the evening. Slams are also paid. We have coffee, tea and refreshments to enjoy. Monday night Partners’ Bridge is a Contract Bridge group where you play with the same partner all night. It’s a low key group where it’s easy to practice bidding and playing the game of bridge with a partner of your choice. We play 6 hands with one set of opponents and then rotate to another table. Ladies Night Bunco is a popular and fun activity held each month for Oakmont residents. Our usual night is the second Monday of each month; however, there are exceptions, so always check your Oakmont News Calendar. Bunco is a simple dice game that is played with partners. Your partner changes every round of play! Beginners are welcome, but you must be pre-registered to play in each game, contact me to get pre-registered. It is very important that once you sign up to play that you do come on game night. Each table consists of four players, so if someone doesn’t show up, three people may not get to play! If you would like to come by and just observe our game night, please contact me to arrange that ahead of time. CAL Alumni Club of Oakmont consists of alumni of UC Berkeley and friends of the University. Our objectives are good fellowship and support of scholarships for students who enroll at UC Berkeley. Activities and events are published in the “Oakmont News” and emailed to all members. The Ladies’ Canasta Club meets twice a week in the Central Activity Center- Card Room, Mondays at 11:15 AM and Wednesdays at 12:00 PM. We welcome all ladies interested in playing canasta- if you need to brush up your memory of the game or even learn the game for the first time, it is suggested that you come on Monday as that is designated as our “learning & teaching” day. It takes very little time to graduate to playing on Wednesday as well as Monday! Please come join us – we even have tasty snacks on Wednesday. The Oakmont Canine Club provides a forum for Oakmont Village Association (OVA) member dog owners to gather and share information about the health and well-being of their canine companions. Members can socialize with other canine owner members and discuss health needs of their pets, enjoy information shared by health professionals and veterinarians, share information on a variety of topics including dog sitters, medical needs and supplies, and organize social activities for members and their dogs. We are a club spreading knowledge about cannabis to help with any Oakmont resident in becoming more informed on the plant. The Oakmont Card Making classes teach the same skill. The purpose of the class is to teach a variety of card making and paper crafting skills as well as familiarizing participants with necessary tools and materials. The class is comprised of card makers at all levels, but the majority are beginning card makers. We always complete two projects per class, one card and one other paper crafted item. Each month we try to complete a different type of card and paper project. Started in 2014, the Caregiver Support Group addresses the loneliness, frustration, and uncertainty that are common when we care for a family member or other loved one. This professionally facilitated group provides information and emotional support as well as the shared understanding of those on the same path. The group, comprised of Oakmont Residents, sings Christmas carols to Oakmont neighbors who may be in need of holiday cheer or may find themselves isolated due to health or other personal issues. The group also sings to Oakmont residents at other times of the year when singing may offer them a sense that they are not forgotten by their Oakmont neighbors. The group meets at The Fireside Room on the evening that it is performing or when it needs to rehearse for a given performance. Membership is limited to approximately 28 because of the capacity of the Fireside Room for sit down pot-luck dining. The Oakmont Cat Care Cooperative is a self-managed group of cat owners who offer members voluntary assistance with care and feeding of feline pets when members must be away from home. Pet care arrangements are initiated by members with others on list. All liability is assumed by pet owner. The group has been functioning for several years with great success. The Chess Club meets once a week for a tournament game between members of the U.S. Chess Federation. For those chess players who may be interested in the game and would like to try their hand in a less formal atmosphere, we also have a “Drop-In” session when players of all standards, including those who might want to brush up on long forgotten moves, are welcome to participate or observe. There are no dues. The purpose of COPE is to build and prepare neighborhoods and prepare neighborhood teams for responding to major emergency situations. Equally beneficial, neighbors provide individual support to each other when needed. Experience has shown another plus – getting to know neighbors and enjoying their company. In case of emergencies, our neighbors are our closest families. While most of our neighborhoods are organized in a COPE Team, there are still a few that are not and due to normal attrition, there are also COPE Leaders missing, residents able to communicate with their neighbors and relay communications to and from their Zone Communicator in case of a major disaster. Physical strength is not a requirement just the ability to think clearly during an emergency. This position may be shared. Join our group of neighborhood teams and leaders. Seekers of the best paths for the rest of our lives individually and corporately. The primary purpose of the Oakmont Community Foundation is to provide a way for the residents to recognize and contribute to the initiation and improvement of Oakmont educational and other activities which benefit the Oakmont Community. The spring of 2007 marked the garden’s first season on a deer-fenced parcel of OVA-owned land on a hillside fronting Stone Bridge Road. 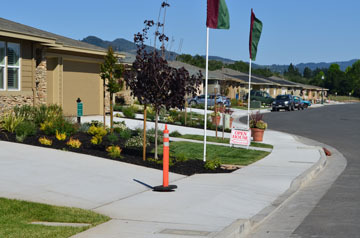 The present garden consists of lovely garden spaces where individuals can enjoy the exercise, camaraderie, and pleasure in growing their own vegetables and flowers in the company of like-minded Oakmont residents. Spaces may be maintained the year around, if desired. All gardening is done organically. Members are asked to abide by Garden Rules which help govern the day to day garden activities. A wait list is maintained for those interested in a garden space. The Oakmont Craft Guild meets on the second Monday of the month from 1pm-3pm, currently at the Upper West Rec for our meeting and demonstration. Monthly workshops are held on the fourth Thursday of the month at 1pm in the CAC Art Room. (Sign up is required). No dues or skills are required. We are a friendly, co-ed, drop-in cribbage group. We play a fun 4-handed partners version of cribbage. You can drop in anytime because we change partners throughout the afternoon. There are no club dues and everyone is welcome. The Current Events group consists of lively discussions of current events, from local to international. Informed comments are voiced from across the political spectrum, from liberals to conservatives. Some prefer to just listen and learn, others offer to moderate. Whatever your comfort level, you will be welcomed when you join us. The discussions are moderated by volunteers within the group, and microphones are passed around to enable everyone to hear. A one-dollar donation is requested. Bring ideas of what you’d like us to discuss. Welcome to Oakmont’s most established dinner dance and dinner club. From formal New Year’s Eve dances to Hot August Night rock and roll, we invite you to join us. Currently we have dinner dances about 4-6 times a year. We offer fun filled, romantic served dinners from our best local caterers with beautiful ambiance and usually live music with selections from every era and dance style. If you are in the mood for an elegant Oakmont special night out or just want to have fun and connect with your neighbors give the Dance Club a try. Remember there is no corkage fees and remember you are just five minutes from home. If you like to pitch horse shoes, meet some great people, have some fun and get some exercise then this may be the Club for you!! No experience needed just a good attitude and a willingness to have a great time and meet some new people!! The horse shoe pits are located behind the Central Swimming Pool. The Club was founded in 2004 by eight residents with the primary goal of electing Democratic candidates. Since then, the Club has become a major influence in seeing that over 90%of eligible Oakmonters turn out to vote — a majority of them Democratic. We encourage Oakmonters to participate in telephone banks, visits to elected officials and other grass roots efforts. Our regular meetings bring to Oakmont audiences knowledgeable political and media figures. Members are notified by e-mail of meeting dates and topics. The ODC has brought many speakers to Oakmont: political aspirants; legislative representatives; professors from Sonoma State and other educational institutions; leaders of environmental and civic groups; and community organizers. Our Dinner for 8 (a standalone group not affiliated with any other organization) was founded in 2002. Hosts and guests come together for a mutually agreeable date for dinner. Based on meeting new people and widening our circle with an emphasis on fine dining, everyone at the table participates. We share hospitality and dining together in our homes four nights a year, plus a picnic and a cocktail party. Our events are every other month. We have our cocktail party in February, dinners in April and June, our picnic in August, and then dinners in October and December. When joining the group, members agree to host once during the year and are assigned a month based on their preference. Documentary Film Masterworks presents examples of the world’s best documentaries to help audience members better understand some of the pressing issues of our time and how to think about their impact on us. The presentation of a screen and discussion is led by host Ernie Rose, retire documentary filmmaker and college dean. Open free of charge to all Oakmonters and their invited guests. An article about each film with pictures appears in the mid-month issue of the Oakmont News prior to its presentation. The Domino Club plays 5 draw partners domino games- 6 games each Thursday. International domino rules apply. Each person brings his/her own lunch. Lessons are given upon request. The Enocureans is the club for the oenophile and epicurean in all of us. It is for Oakmonters who love and enjoy their food and wine and want to experience to the fullest everything that life in our beautiful Wine Country has to offer. The club’s monthly events are held at Oakmont and at various locations in Sonoma and Napa counties. They include dinners at a variety of restaurants, picnics, wine tours and tastings, mix & mingle gatherings and gala events. The club does not have specific dates for scheduling its monthly events, but they are usually scheduled for the middle of each month, both on weekends and mid-week. One of the biggest advantages of membership is that members receive early invitations and priority registration to the club’s monthly events. Due to their nature, Enocureans’ events are typically capped at 40 people and sell out very quickly, so having priority registration is a big advantage. Promote a spacious and modern facility with excellent equipment to give Oakmont residents an opportunity for individual and/or class orientated exercises, with professional guidance, in a comfortable and attractive environment. All are welcome in the Fitness Center at Oakmont’s Central Activities Complex. Club membership is voluntary, and costs $30 a year. Dues pay for a trainer to answer your questions and help you develop an exercise program. Hours for trainer John Phillips are posted in the gym. The club also purchases some equipment and numerous gym amenities, sponsors fitness-related classes and social events, and works with Oakmont management and the maintenance staff to promote a smooth gym operation. Dues may be paid in a drop-box provided in the Fitness Center. Join Carol and experience the benefits of a mindful and healing yoga practice. Carol offers a supportive and compassionate environment to explore yoga poses safely. Classes integrate breath and core strengthening with a focus on alignment. Let your stress level decrease while you increase your energy level, strength, flexibility and focus. Perfect for new students, senior students and advanced students who need a more restful practice. Classes cover breath work (pranayama), postures (asana) and strengthening core work. Ease your back and relax your neck! Feel stronger on and off the mat. Classes are appropriate for all levels. Classes are free and meet on Monday, Wednesday and Friday mornings in the Berger auditorium. The Oakmont Health Initiative is a volunteer organization dedicated to the health and well-being of Oakmont residents. 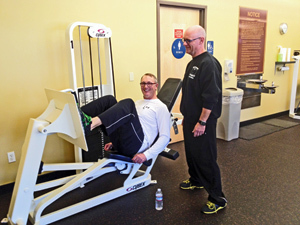 Programs are targeted to active adults with good balance and lateral movement. It is supported by Fund Raisers, the OVA and the Oakmont Community Foundation. The Cercle Français is a group of friendly Francophiles who meet once a week to enjoy conversation and exchange of ideas in French, with the goal of increasing vocabulary and fluency. Anyone with the ability to speak the language at about the intermediate level will find it easy to participate. We also welcome beginners who would like mainly to listen to the spoken language. There are no lessons or homework, but a French-English dictionary is useful. Come and converse with us and watch your French improve. Members should be ready to work – none of us are experts – we want to explore these topics as a group and learn together how these new technologies work and share our learning with each other and all of Oakmont. Membership is open to all Oakmonters. Dues are $8.00 per year for individuals and $12.00 for couples. 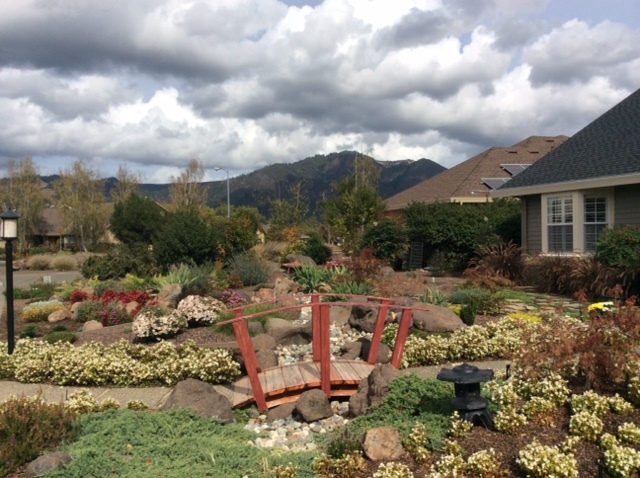 A regular meeting may be replaced with a field trip to a place of interest to our members; recent trips include Quarryhill Botanic Gardens, and the Russian River Rose Company. Our regular meetings begin with coffee, tea, and cookies. This is a good time to meet other members and exchange information. Our speakers follow, speaking on a variety of subjects; we recently enjoyed presentations on water-wise gardening, many varieties of Geraniums, Roses and rose maintenance. The Garden Club can provide valuable information on plants that will grow well in this area and advice from members or speakers on how to best care for those plants. The Oakmont Genealogy Club is open to all Oakmont residents who are interested in Genealogy and History. We were founded in 2008 and currently have 170 members. Many Oakmont residents have had an interest in genealogy but don’t know where to begin. Our meetings are appropriate for beginning researchers and experienced genealogists; for research in the United States, Europe, or even other areas of the world. Many of our discussions are targeted at the use of free websites on the Internet for genealogical research. Others involve outside speakers who have specialized expertise (we’ve had speakers on the 1906 San Francisco fire; Jewish genealogy research; and Irish research). Others have involved dealing with old photographs. We publish a monthly newsletter which is available if you send your email address to us. The Oakmont Golf Club (OGC) is a semi-private club owned by its members and managed by Kempersports. The Club is overseen by the OGC Board of Directors, which is elected by the membership, and who provide overall direction to the club and its various activities. 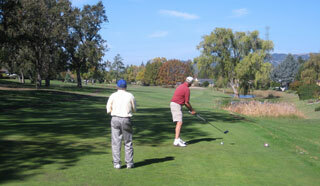 Empire Golf, the management company, directs the commercial and administrative divisions of the club, and manages the large commercial website oakmontgc.com. Here one can find a wealth of detail about the two 18 hole golf courses, green fees, golf shops, restaurant hours and menus, golf instruction facilities, membership information, banquet and wedding facilities, etc. Our food services have some of the finest facilities in the North Bay and sweeping views of the mountains surrounding the Sonoma Valley. The Grandparents’ Club was formed in order to provide our visiting grandchildren with fun filled activities in a friendly and safe environment. Presently we have two events each year. Our Easter Egg Hunt is held on the Saturday afternoon before Easter. Our largest event is held the last week in July. Kickoff begins on Sunday with a welcome party/carnival at Oakmont Gardens and a family movie night at the Berger. During the week there are numerous activities for the children, including diving for coins, pasta making, bingo, art & music, sports such as bocce, tennis, pickle ball, Wii bowling, & table tennis, and a family pizza party on Wednesday night at the West Rec picnic area. The Great Decisions Discussion Series is based on a Briefing Book published annually by the Foreign Policy Association. 8 topics are picked by the Association and they contract with a neutral expert to write a background paper on the topic. Topics in recent years have ranged from updates on Palestine, Russia, and Brazil to overviews of Privacy in the Digital Age and Human Trafficking. Participants purchase a book at a discount through the coordinator, read the background material, and then participant in a lively roundtable discussion regarding American Foreign Policy related to the topic under discussion. Those interested should keep their eyes open for information posted in the Oakmont News beginning December 1 each year. We are a group of 20 golfers who meet once a month, April thru November, for 9 holes of golf on the East course (first tee time is 1 pm), followed by a potluck dinner at 5 pm at the East Rec. Center. We have modest cash prizes for the golf winners. At the East Rec. we have an indoor putting contest where everybody cheers for whomever is putting at the time. That too is connected with a Cash prize. Maintain an email address list and distribute information on hearing issues. This active outdoor club provides Oakmont residents the opportunity to hike with others in local parks and open space areas. 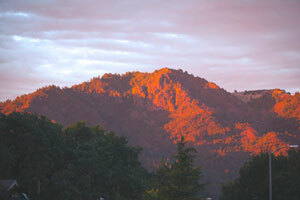 Most club hikes are held in Sonoma, Marin and Napa counties. As well, the club sponsors an annual potluck dinner, a summertime barbecue, and a Spring and a Fall “Tri-Nitter” hiking getaway. This popular ongoing class is an opportunity to build strong, flexible muscles, gain better balance, and learn the healing power of deep breathing. It will help you become more conscious of your body and it’s signals. You will learn proper alignment of the spine in each pose. This will help improve your posture and range of movement. This focus aids in avoiding injury to the back and joints. Yoga can facilitate healing the body inwardly and outwardly, center the mind and attain deep levels of relaxation. Donna is a certified Integrative Yoga Therapist, combining yoga with healing, aiding the individual in promoting a safe and effective practice. Her approach to yoga is non-competitive helping each student at their own individual level of ability. She has been teaching in Oakmont for eleven years and has a loyal following. Come join this friendly class and experience solid effective instruction from a teacher who is approachable and dedicated. A valid OVA key-card number is required to complete registration. 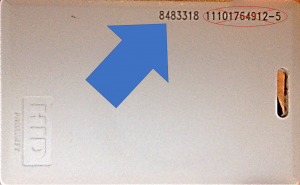 In the form below first enter the first 7 numbers on the back of your OVA keycard. Next enter your email address. Enter your chosen password 2 times. The second time is to make sure there are no typos. Try to use something you have not used for other online accounts. By selecting the corresponding check boxes. Your request to create an account will then be submitted for review. Once your account is approved, you will receive an email confirmation. Please make sure to check your spam for the confirmation email, if you do not find it in your inbox. *Account requests are reviewed Monday through Friday. Kiwanis is an international service organization dedicated to helping the children and youth of the world “one child and one community at a time”. 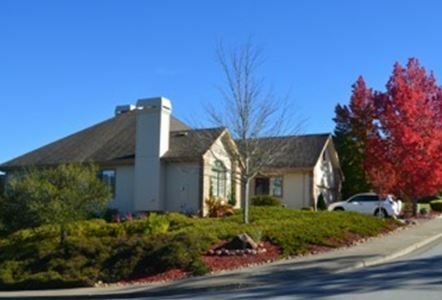 In support of this goal the Oakmont Kiwanis Club is engaged in a number of projects helping children and youth in Sonoma County and supports efforts by selected community organizations. Among these projects is active involvement with students at Luther Burbank and Kenwood elementary schools, Lawrence Cook middle school, and Montgomery high school that includes sponsoring and mentoring student service clubs and student leadership groups, awards for academic and citizenship achievement, providing needed resources such as English-Spanish dictionaries for each student and library resources, maintenance of vegetable gardens and landscaping, mentoring of individual students and similar activities. Oakmont Lanes is a bowling league consisting of 4 person teams that utilize Nintendo Wii to simulate the experience of bowling without the weight of a bowling ball. We have 3 tournaments per year: winter, summer and fall leagues. Each tournament lasts 10 weeks, with a League Team Champion at the end determined by a play-off. Each bowler has his/her running average and a handi-cap based on 80% of 275. We have substitute bowlers who are called when needed to sub for a team bowler. We are a web site based group of year round lap swimmers who support swimming as a sport, workout and lifestyle. Our website is our connection to fellow enthusiasts, to discuss pool/swim issues, report problems/repairs to Maintenance staff, i.e. : light bulbs, drains, etc. Lawn Bowling is a sport that originated in ancient Egypt and was very popular more than 900 years ago in Europe. Mr. Berger, the developer of Oakmont, constructed the Oakmont bowling green in 1963. 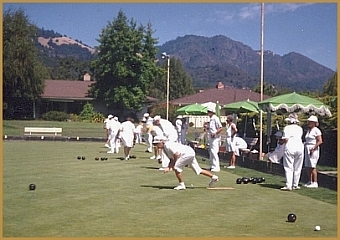 A club for Oakmont residents was formed, and in 1965 the green was dedicated by the Northern California Lawn Bowling Association. Along with the comraderie, a bowler increases eye-hand coordination, focus and concentration, the strengthening of legs and arms, which helps us keep healthy and young. The club instructors give free lessons all year, at a person’s convenience. A sheet is posted in the club bulletin board, at the green, for name and phone number of people interested in learning this challenging game. Our daily draw games are at 12:30 PM, or on hot summer days, they begin at 9:30 AM. If you come to watch, we are a friendly group and will be happy to answer questions. League of Oakmont Maintained Area Associations (LOMAA) was formed to better serve our own individual associations by sharing information, common experiences and future planning. The Oakmont Village Library volunteer team welcomes you to join this active group. The Library has over 20,000 items available for Oakmont residents and their guests. No fees, no due dates, no library cards, no sign outs – just browse and take them home or relax in the comfortable reading area. One of the more than 100 library volunteers helps residents find the perfect book, magazine, movie or audio book – all donated by the community. Each volunteer spends about 4 hours every 10 weeks processing, sorting and shelving donations. Fiction includes best sellers – often before they appear at the Sonoma County Library – classics, mysteries and a special section of works by Oakmont authors. Large Print books also occupy a special section. Non-fiction subjects range from art to zoology, with a particularly extensive history area. The media room is full of DVD’s and VHS tapes – including classic movies and recent hits, television shows, documentaries and musicals. A special team of volunteers process and keep the donated items organized. Oakmont Learners are intellectually curious, interested in discovering new facts, sharing ideas, and building a social connection with other like-minded individuals! No grades, no tests! Learning for the joy of it! Since 1990. Oakmont Lifelong Learning has been providing residents with quality educational and personal growth opportunities through courses, lectures, workshops and concerts offered year-long. We are a dance class- line dance to be precise. There is no prior experience necessary. Open to both men and women. There are no tests and you don’t need a partner. We dance and have fun! $5 drop-in fee, monthly discounted rates available, contact via email or phone for more info. OakMUG invites all Oakmont residents and their guests to our meetings. The purpose of the club is to help members improve their skills and to enhance the use and pleasure that they derive from their computers. Members also support Macintosh classes at the Oakmont Computer Learning Center by teaching and by serving on the Center Board, which is responsible for choosing and maintaining the equipment in the Center and for scheduling classes. If you know how to play American Mahjongg and would like to meet some new friends and have a great time, the American Mahjongg club is for you! We only currently have openings for experienced players and teams. The Men of Oakmont group meets twice a month to support men dealing with life’s aging problems in an non therapeutic manner of helping each through listening and advice if sought. It was formed to give men a forum to discuss their problems in a supportive environment where men can seek their own answers with the support of other men. This is a non-religious based men’s support group to give men an opportunity to work on their problems in a supportive and confidential manner with other men. Movies at Oakmont is an informal group of volunteers who show movies in the afternoon and the evening every one day a weekend. Also, we are occasionally preempted by special events such as concerts and church events. All Oakmont residents are welcome. There is no charge. We meet once a month to choose which movies to show. Our goal is to show movies appropriate for our audience and draw as many people as possible. We welcome volunteers willing to operate the equipment used to show the movies. Our members typically show two movies a month. An outstanding attraction of Oakmont living, Music at Oakmont brings the very best in live classical music to community residents and their invited guests. These concerts present world class musicians on a regularly scheduled basis, for very reasonable admission prices. Management is by a small group of dedicated and expert Oakmont volunteers, none of whom receives any pay. The difference between ticket revenue and the actual cost of the series is provided by donations from generous audience members and others. We are especially grateful to the Oakmont Community Foundation for partnering with us in our annual Donor Drive. www.musicatoakmont.org. Notable past performers have included pianist Jeffrey Kahane; the Calidore, Dover, and St. Lawrence String Quartets; the Israeli Chamber Project; and violinist Nadja Salerno-Sonnenberg with the New Century Chamber Orchestra. Needles and Hooks welcomes those interested in any kind of handwork. Most of our members are knitters, but we have had members who crochet, needlepoint and even a weaver. Members do their own projects, and the club has no format or required skill levels. The Oakie Folkies’ gatherings offer acoustic jam opportunities twice a month. All Oakmont musicians (and listeners!) are welcome to join us at the West Recreation Center. We do not have dues or even a membership roster; we’re only in it for the love of sharing live music! Our residents play guitar, mandolin, bass, harmonica, banjo, mouth harp, accordion, autoharp, and more! We encourage residents to dust off their instruments and join us. The style and choice of tunes varies, depending on the “will of the people” in attendance on a given evening. In recent weeks, our music has included songs of Hank Williams, John Denver, Willie Nelson, Kate Wolf, John Lennon, Ian Tyson, Johnny Cash, the Everly Brothers, and many more artists! This is in addition to classic campfire, 1950s and gospel tunes. We informally showcase Oakmont instrumental and singing talent! Parliamo Italiano is an Italian conversation group interesting in language development and Italian culture. Most members have had at least a year of Italian 101, and/or experience speaking Italian. You are welcome to join us during any meeting. Petanque is easy to learn, and we always have extra boules. It is not necessary to call anyone to say whether you are playing or not. Just show up at 9:45 a.m. on the designated Club play days of Wednesday and Saturday, when we divide into random teams and play. We will be delighted to introduce you to the game and if you enjoy it, joining the Club is easy – just sign up to be listed on the roster. No membership fees are required. The Oakmont Photography Club (formerly Oakmont Digital Photography Club) is organized as a recognized club, with bylaws, within the authority of the Oakmont Village Association. The purpose of the club is to promote understanding, competency and improved picture taking by Oakmont residents and to promote the sharing of techniques, results and the enjoyment of photography. Pickleball is a fun game played on a court that’s about half the size of a tennis court with a net height of 34 inches at the center. It is played with a perforated plastic whiffle ball and composite paddles. Pickleball is easy for beginners to learn, but can develop into a quick, fast-paced, competitive game for experienced players. Oakmont Pickleball is currently played on Courts 1 to 6 at the East Rec Center. Tennis or court shoes with non-marking soles required. In addition to a regular Open Play schedule, the club hosts weekly orientations for new players with balls and loaner paddles provided. Come join us for the fun, good exercise and meet nice people. Pilates offers a body conditioning routine to build flexibility, strength, endurance, and coordination. In addition, Pilates increases circulation and helps to sculpt the body and strengthen the body’s “core” or “powerhouse” (torso). People who do Pilates regularly feel they have better posture, are less prone to injury, and experience better overall health. We play every week except on holidays. Most in our group are seasoned players. However, we will accept and teach beginners. The Oakmont Plant Care Co-op is a group of plant lovers who offer co-op members assistance with the care and watering of their plants when members travel or are away from their homes. All plant care arrangements are initiated by calling other members on the list- members work out the care amongst themselves. All liability is assumed by the member who needed the plant care. There are no meetings. A members list is maintained and distributed by the list coordinator and sent primarily by email. Play readers is a group of Oakmonters who love theater. Some members are familiar with current theater, but the majority just enjoy reading and listening to the readings. Each week a member selects a play to be read and asks various members to read the roles. He then makes copies for each reader in the cast and the play is read aloud to the group. Most plays take two weeks to read. Play readers has a large library of all types of plays in a cupboard in room B. Some members don’t care to read and come just to enjoy listening. Members give $1 each week to cover the cost of buying and copying new plays that Play readers doesn’t yet own. You can find out what plays are coming up by reading the articles in the Oakmont News. Qigong is medicine in motion. It is an ancient Chinese practice of internal massage of every joint and organ. It is a treatment you learn to give yourself. It is a different kind of exercise because it values relaxing, stillness, gentle range of motion, stretches, and balance with alignment. “When the body is in perfect balance there is no strain on any part.” It aligns with the natural force of gravity and the body relaxes into its center. The body’s systems can work freely, creating greater health. Mind, Body and Spirit are refreshed. Movements are done from a standing position.Instructor Janet Seaforth has over 35 years of teaching experience. The Oakmont Quilters meet on the second Wednesday of each month to sew and quilt on individual projects and the fourth Wednesday for a business meeting and program. Quite often members of the group will demonstrate a particular method of the sewing and quilting process and the quilters have work days together making quilts, various quilt blocks or related items. The group makes doll quilts to be given to the Welfare League which are then paired up with a teddy bear and given to disadvantaged children. Oakmont Quilting Bee is an informal group with no dues or requirements, other than an interest in quilting. One need not be an expert quilter or even an active quilter. Anyone new to quilting or with an interest in the art form is welcome and encouraged to attend. Rainbow Women provides an opportunity for lesbians at Oakmont to enjoy educational, social and community service activities together. Our meetings cover a range of informative topics as well as game nights and theme parties. In addition we host the annual Pride Picnic at Oakmont every June and sponsor concerts by women musicians for everyone in Oakmont to enjoy. Although our group is primarily lesbians, all women living in Oakmont are welcome to join us. Oakmont Rovers is a club for RV owners who are interested in the company of and camping with other RVers. We plan activities and group outings centered around the enjoyment of the out of doors and our recreational vehicles. The club usually plans four to six camping trips and four social dinners each year. A drop-in meditation group which averages 15 people per session, of all religious persuasions (and none), meets every Saturday morning, (even on holidays) with a short talk about meditation principles (chiefly, but not exclusively, based on Buddhist ideas – meditation is a universal practice). A 40-minute period of silence follows the short opening talk, and then those who wish may stay for another half hour of discussion about their experience. Since participants are seniors, most sit in chairs in a circle, but anyone who wishes to sit on a floor cushion is welcome to do so. Beginner meditators are advised to call or email her at bkan55@gmail.com in advance, for the “how-to’s” of sitting. Monthly SGI Nichiren Buddhist discussion meetings of chanting, study and dialogue are open to all Oakmonters and free of charge. We hope you join us and learn more about the benefits of this wonderful Buddhist practice and humanistic life philosophy. We are an all age group events club. Sha-Boom Events Club brings fun and exciting entertainment to Oakmont. Some of the events we have brought to Oakmont include: Annual New Year’s Eve Dinner/Dance, Tri-Tip and Cracked Crab Dinner, Dean Martin Impersonator show and dancing, Frank Sinatra Impersonator show and dance, The Rat Pack Vegas style show, Cinco De Mayo Celebration Dinner/Dance, Western Hoedown and many, many more. If you want to meet New people and get out with one of the best Clubs in Oakmont and have a great time, then Sha-Boom Events Club is the club for you. After granting club recognition for Shuffleboard in December 2018, the OVA Board in January authorized the purchase of two full-size Shuffleboard Poly Courts installed on top of the old concrete courts located near the OVA offices. These courts arrived in February 2019, and on March 11 several of the 45 shuffleboard club members assembled them. The maintenance-free courts are made up of all-weather heavy plastic tiles and will stay in place for year-round play. Our club’s purpose is to offer a friendly social environment and to promote fun, camaraderie, and entertaining events combined with an opportunity to meet single baby boomers in a relaxed setting. Past events have included private tours of State Parks and wineries, all Oakmont events with live bands to our Thanksgiving feast and Holiday Gift Exchange. Our membership continues to grow as word spreads about our friendly socials and upcoming events. We encourage you to join us. Not sure? Feel free to drop by any of our monthly socials, meet our members and get a sense of who we are. You won’t be disappointed! Look for our monthly events in the Oakmont News. Sons In Retirement (SIR) is a non-profit public benefit corporation for retired men. SIR assists men in renewing old friendships and making new friends through SIR activities. Having fun is our goal. We have more than 20,000 members in 150 Branches throughout northern California from Bakersfield to the Oregon border and Lake Tahoe to the Pacific Ocean. Membership is open to men retired from full-time occupation, regardless of age, race, color or religion. There are no dues, fees or assessments. Member volunteers staff, administer and govern all Branch activities. Voluntary member contributions provide for these activities. SIR supports no outside cause or interest. We prohibit discussions of politics and religion or the selling of anything to any member. The only requirements to join SIR are that a man be retired, or semi-retired, be able to attend the monthly luncheons, and be sponsored by an active member. If you are looking for something interesting to do, we invite you to join our group of retired (and semi-retired) gentlemen who absolutely insist on enjoying ourselves with new and old friends. We gather ourselves up at least once a month for conversation, lunch and perhaps a refreshing beverage or two at the Berger Center. We are the Robert Ripley Branch #53 (Believe It or Not) of the statewide Sons in Retirement. Every month we have a guest speaker, and we have heard great range of subjects from the state of the Santa Rosa Symphony, what’s new in counter-terrorism, how to write your autobiography, history of the Melita train station, and a near-endless list of other topics. Twice yearly, we invite the ladies and/or partners, for the Ladies Lunch in the summer and the Holiday Dinner in December. A grammar book is used during the class for reference. Emphasis is given to pronunciation and expression of the language. Each student will have the opportunity to practice and to improve. We have conversations of everyday common events. The class has met since September 2004. There is no charge for this class. This is a conversation and reading activity – not an instructed language or literature class. Fluency in Spanish is a desirable pre-requisite. We converse in Spanish for one hour and read aloud from novels in the second hour. The Oakmont Stanford Club is an organization with the objective of providing social events for alumni and friends of Stanford University. We have get togethers during the year including two in conjunction with the Cal Berkeley Club. The Oakmont Sunday Symposium is a non-sectarian, non-partisan organization which provides an intellectually-stimulating, educational, and entertaining experience to the residents of Oakmont and their invited guests. Presentations are approximately 45 minutes in length followed by audience questions. Speakers are distinguished experts in their fields. Topics include history, contemporary political issues, regional geography and nature, health, travel, literature, art, and music. All residents of Oakmont and their guests are invited to attend. Videos of past lectures can be found on our website at Past Programs tab. We have very active club. We have four tables, ping-pong balls and some spare rackets for new comers. We normally play doubles, so 4 people can play on each table at any one time. We also have Robopong Newgy 2050 for anyone who wants to practice to improve their skills. Something for every skill level—even non-players who enjoy the sport. See you on the courts! Open group for people interested in travel and travel information. We share ideas, have guest speakers and organize group trips. Our musical group meets weekly and we welcome all skill levels to join us. Songs are selected by the members of the group. Check your inbox for an email from Oakmont Village that will contain a special link. After clicking on the link in that email, you will be brought to a page that will ask you to create a new password. You will now be logged into OakmontVillage.com, and your password will be updated. Founded in 1971 by a retired teacher and ten Oakmont friends, the Oakmont Visual Aids Workshop has over 100 volunteers meeting regularly and has produced over 100,000 Tactile Aids. These are lovingly made by hand and sent worldwide, free of charge, to professionals teaching visually and mentally impaired children. Donations support this incredible effort. The Workshop may be contacted through the OVA’s e-mail, regular mail or telephone. Volunteer Helpers has provided free transportation for 30 years. 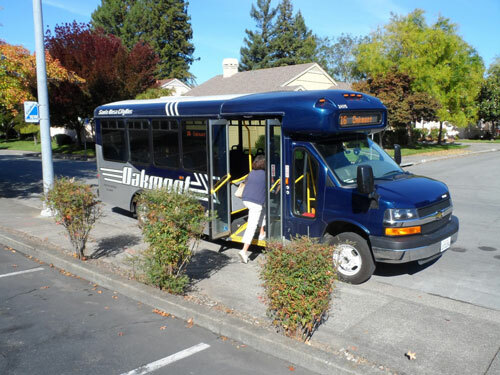 We donate our time, cars and gas to transport Oakmont residents unable to drive themselves to medical and dental appointments within Santa Rosa. Our passengers are unable to use the Oakmont bus. We drive passengers to at Safeway on Calistoga Road. Founded in Oakmont in 2000, our club is one of more than 33,000 Rotary clubs worldwide. Our 50 club members are volunteers who work locally, regionally, and internationally to combat hunger, improve health and sanitation, provide education and job training, promote peace, and eradicate polio under the motto “Service Above Self”. Water Fitness classes are conducted at the West Rec. pool Mondays through Saturdays during the morning hours. Three times a week classes are led by local Junior College instructors who are trained in water fitness with emphasis on seniors’ fitness needs. All levels of fitness are invited to participate in these classes. Some classes are private and require a drop in fee, however, many classes are free of charge, and some classes use a CD & boom box for instruction. Our group meets in the card room every Wednesday to play Bridge. Woman’s Yoga is open to all ages, beginners and advanced. No fee. There is a yearly potluck lunch and at that time a collection is taken for the volunteer leaders. Zentangle™ is an art technique using repeated patterns to create art. If you can draw a dot, line, or a squiggle you can do the Zentangle™Art Method. We meet twice monthly. The 2nd Monday’s focus is learning the method and adding more tangles to your repertoire. The 4th Monday will focus on using different materials or learning more complicated tangles. The goal is to develop your Zentangle™ skills so you can continue creating at your leisure. Materials are only a pencil and a 3/5” tile and are provided.